Meditations in the Cyber-Realm: Readin', Writin' and Rovin' (with a sketch book). Readin', Writin' and Rovin' (with a sketch book). The exhibition at Seagrass Studios and Gallery, in West Kirby, Wirral, closes this weekend so if you wish to view my watercolour painting on show there - plus lots of other truly lovely art - then be sure to call in. 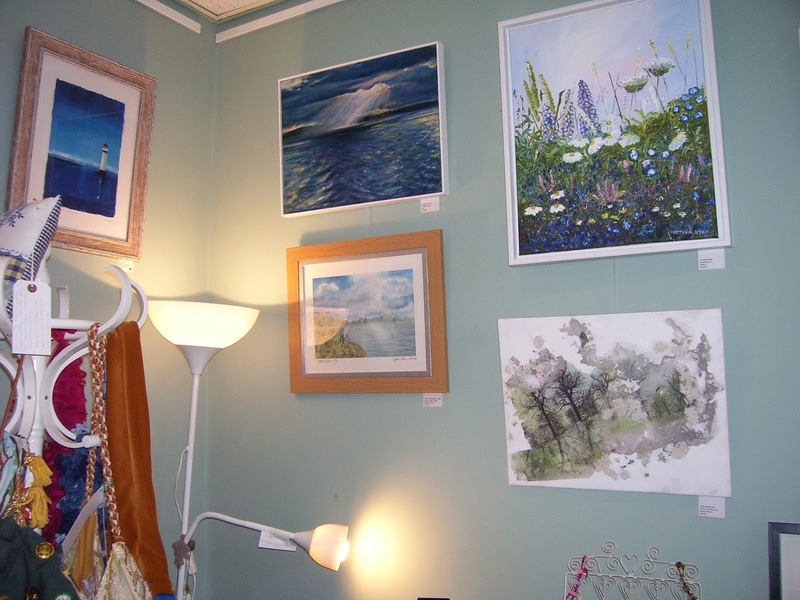 The gallery can be found on Acacia Grove, which is directly opposite the train station. These last few weeks, I've been busy writing Morgan. Explained simply, there are three ways to write a novel. One way is to plan everything in advance, making detailed notes which are then followed rigidly. The opposite method is to plan nothing at all, to have a loose idea and start exploring this through writing and slowly discover where it might lead. The middle way offers a compromise between these two extremes; the writer has a few notes which log important plot twists and outcomes, but which also leaves plenty of room for flexibility and improvisation. Each writer needs to experiment and discover which method works best for them. For some, a detailed plan helps them to produce finished work more quickly and so ensure publishing deadlines are met, while others say a rigid plan stifles creativity. Having no plan at all works fine for some people, while others find themselves floundering, staring at a blank page for far too long while wondering what to write. Previously, I've used the middle method, filling a few sheets of A4 file paper with jotted notes about the main events with a clear intention of how I want the novel to end. I've found that knowing what needs to happen by the novel's end prevents plots from wandering off purpose. A person might fairly argue that foreknowledge of the end point is the most important part of any plot plan. There's also the little matter of getting on with the actual writing rather than wasting time on addictive social media...but that's another issue. Having now written approximately one quarter of Morgan, which will be the last novel in the Artisan-Sorcerer Series, I re-read my plot notes and found that so many things had changed that the notes had now become redundant other than for reminding me of where the novel needs to end. Fortunately, I prefer the written version to the planned version. So it looks like I've moved to a more intuitive approach without intending to, but if it works then I'll continue with it. I have begun attending a life drawing group. The drawing shown here comes from the first session. Having not done any life drawing since my art school days some thirty years ago, I'm as rusty as it gets. There's only one cure for that, though - practise, practise and more practise! The group is organised by Marie Mairs, who has a studio on Wellington Road, Oxton. 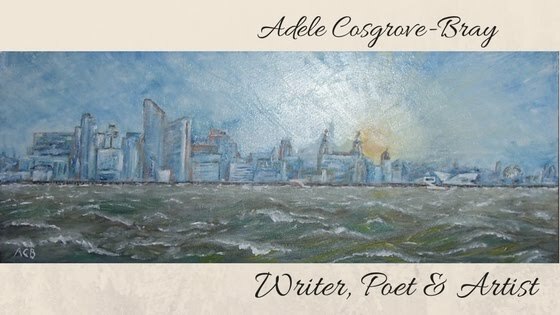 I first met Marie around two years ago when I visited her studio as part of the Wirral Open Studios Tour. Storm's Approach; watercolour; September 2017. I've recently finished reading a lively and imaginative novel by Elle Newmark, called The Book of Unholy Mischief, (also published as The Chef's Apprentice). The main character is a homeless orphan who struggles to survive on the unforgiving streets of Venice in 1498. He's given a fresh start in life by a kindly chef, but this leads to danger when rumours of a book containing alchemical secrets of immortality and vast wealth begin circulating the populace. I enjoyed the story, and not just because it was set in a city I've long wished to explore. A dash of gnostic philosophy was woven neatly into the plot, too - nothing that I've not encountered many times before but it was pleasant to find it tucked away in a novel. Unfortunately the author wrote only one more book before she passed away. My Birkenhead Park sketching project has continued from last year. I've shared a few of the results in my blog - scroll back to find them - and here's two more with this post. It's been fun to do. I've used quite small sketch pads which fit into my pocket easily, and have used an ink pen for almost all of the work for sheer convenience - plus I like the strong line made by the ink. My two dogs have become entirely accustomed waiting around while I sketch waterfowl, interestingly twisted and gnarly old trees, or draw cartoon-like studies of whatever people are doing in the park. Richard likes the cartoony-things best and says I should paint them just as I've drawn them. They were only intended for my own entertainment, really. Anyway, I'll post one below and you're welcome to make of it what you will. Children's football coaching, Birkenhead Park, 2017. Whoah this weblog is great i love studying your articles. Keep uup tthe good work! You recognize, many persons are looking around ffor this information, you could help them greatly.